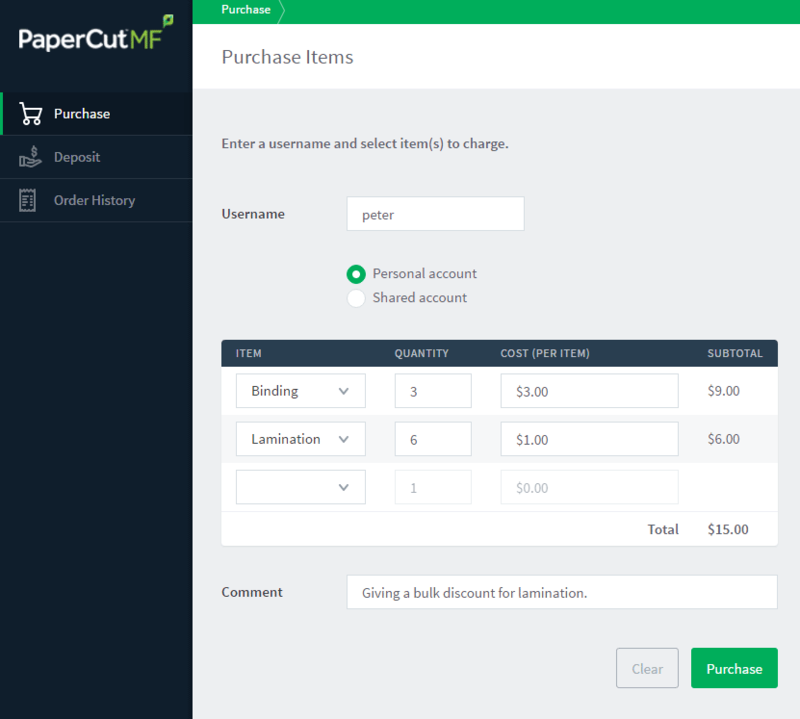 Web Cashier is a basic Point of Sale (POS) system to charge items to PaperCut accounts and deposit funds into users' accounts. It is a standard product feature. A teacher assistant in the print room can use it to charge students for various items such as document binding, laminating, bulk printing, or library fees instead of handing cash. Office staff can accept payments from users and credit their balance using the simplified Web Cashier interface. Quickly search and find user accounts. Select item types from a pre-configured product/price list. Charge users' personal accounts or shared accounts (e.g. Department/Faculty accounts). Give discounts. e.g. bulk discount or special pricing to staff. Automatically print or email acknowledgement slips (receipts) to users. Customize the text/messages on the till page used by staff, or the receipts/slips received by users. 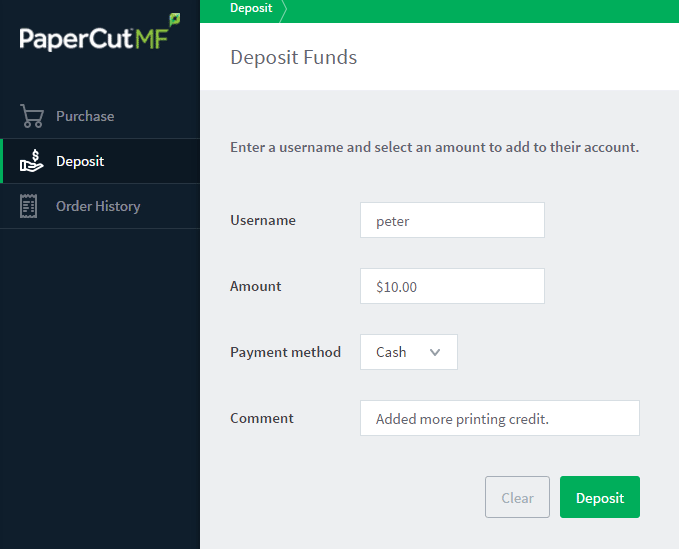 Quickly deposit funds into users' personal accounts. Add optional comment for special situations. Record the payment methods (e.g. Cash, Card). See all the previous transactions and run reports. For more automated payment methods such as payment gateways or top-up cards/vouchers, see the tour section on recharging balance. Restricted access to the interface can be granted so you can ensure counter staff can not accidentally change other settings. All transactions are logged and audited and the interface is so simple to use that staff training is usually not necessary.